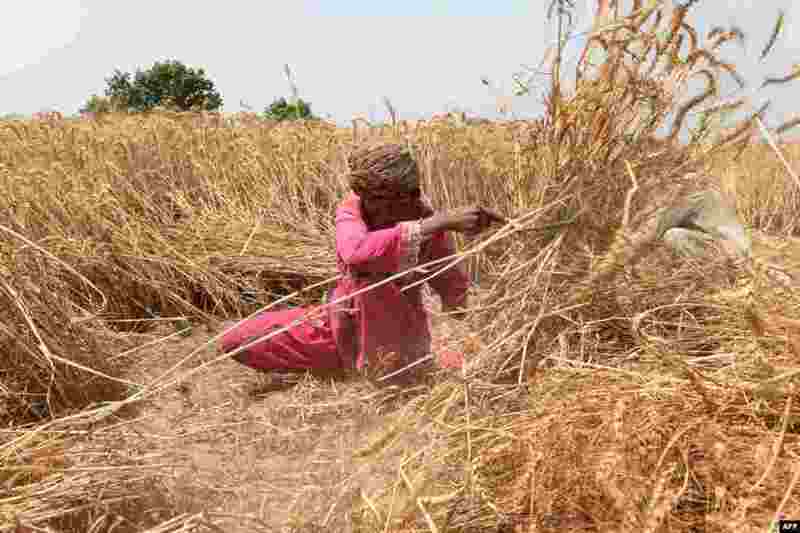 ٥ A Pakistani farmer harvests wheat in a field on the outskirts of Lahore. 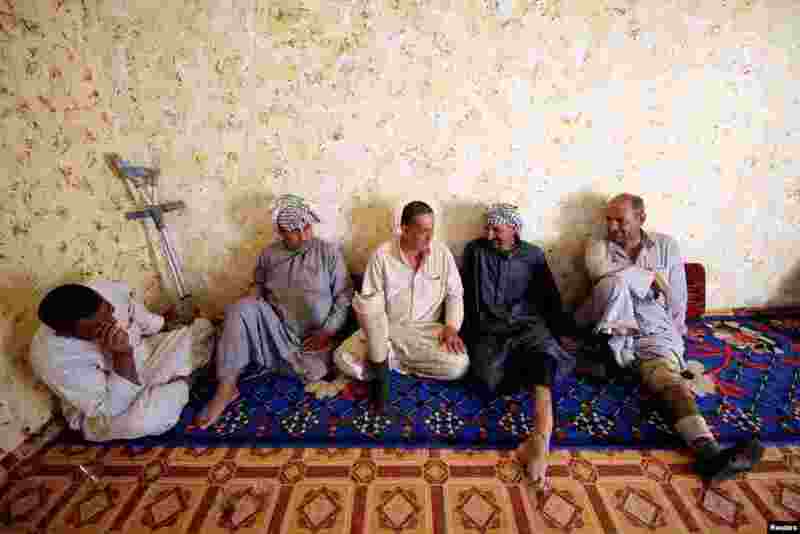 ٦ Rafed, a man disabled by a landmine explosion, chats with friends in the village of Bitr, which in Arabic means "amputation", in Al-Tanouma district, east of Basra, Iraq. 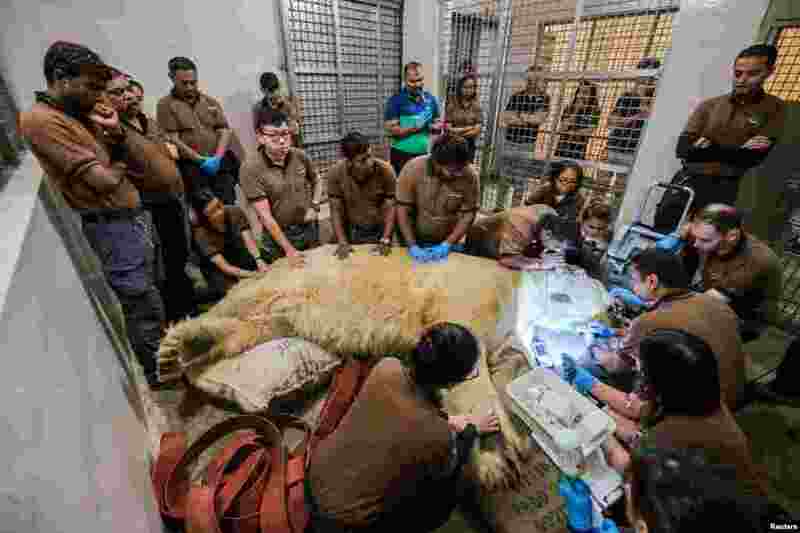 ٧ Inuka, Singapore's first born and bred polar bear undergoes a final check up at the Singapore zoo before it was put down. 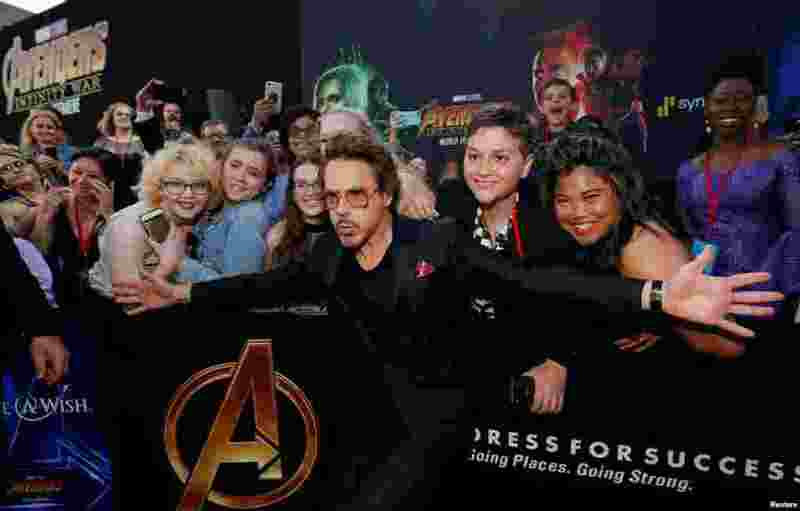 ٨ Actor Robert Downey Jr. arrives at the world premiere of "Avengers: Infinity War" in Los Angeles, California.